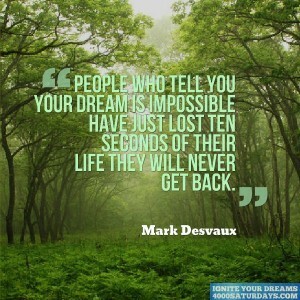 When It Comes To Choosing A Dream, Don’t Be Unreasonable. 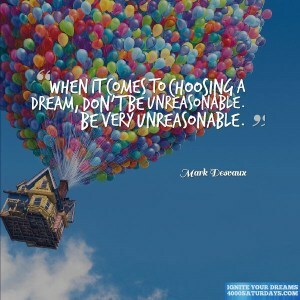 Be Very Unreasonable. 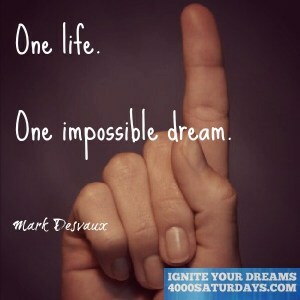 One Life. 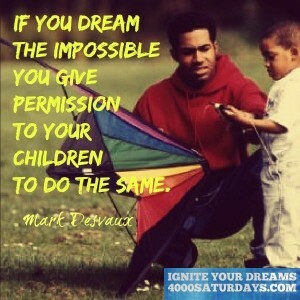 One Impossible Dream. 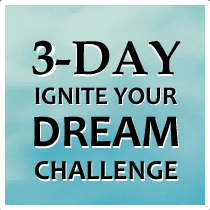 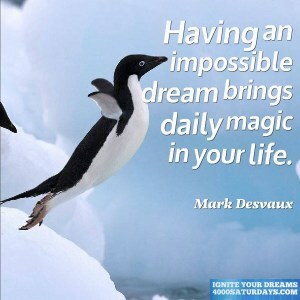 Having An Impossible Dream Brings Daily Magic In Your Life. 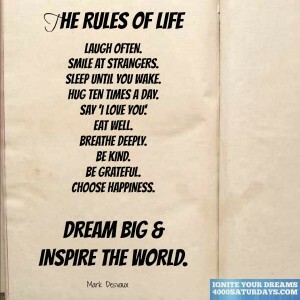 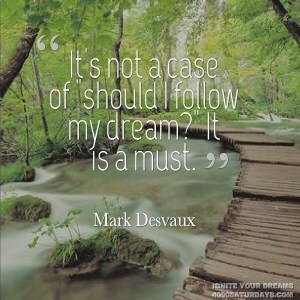 It’s Not A Case Of “Should I Follow My Dream?” It Is A Must. 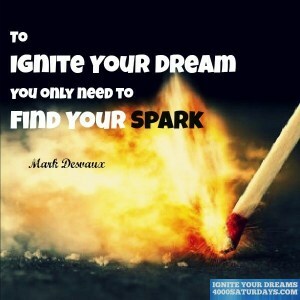 To Ignite Your Dream You Only Need To Find Your Spark. 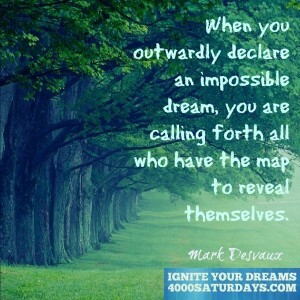 When You Outwardly Declare An Impossible Dream, You Are Calling Forth All Who Have The Map To Reveal Themselves. 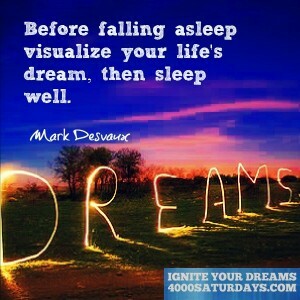 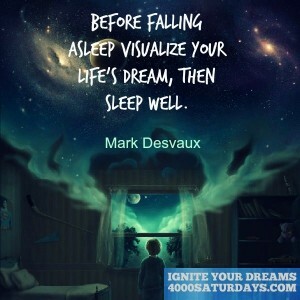 Before Falling Asleep Visualize Your Life’s Dream, Then Sleep Well. 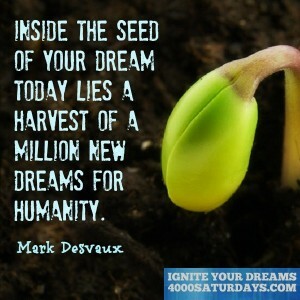 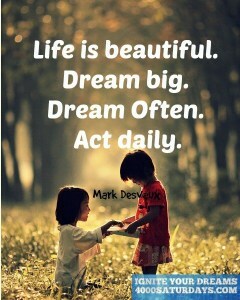 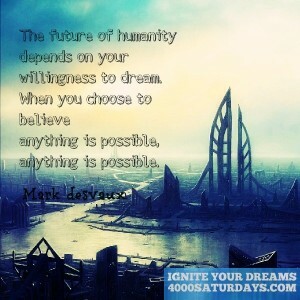 Inside The Seed Of Your Dream Today Lies A Harvest Of A Million New Dreams For Humanity. 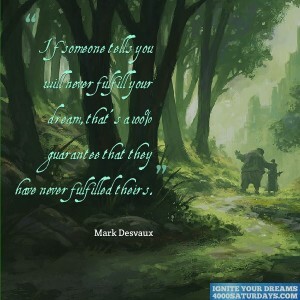 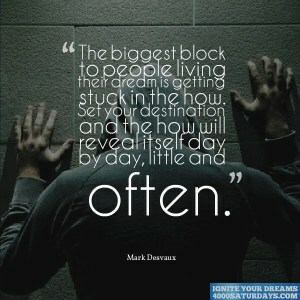 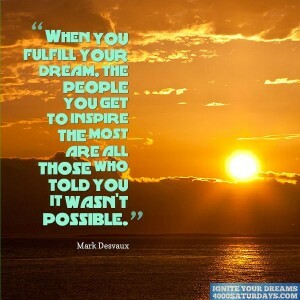 If Someone Tells You Will Never Fulfill Your Dream, That’s a 100% Guarantee That They Have Never FulFilled Theirs.